I have many terrible ideas. Whenever I think of a terrible idea, I write it down in my notebook. The DYNAMITE! 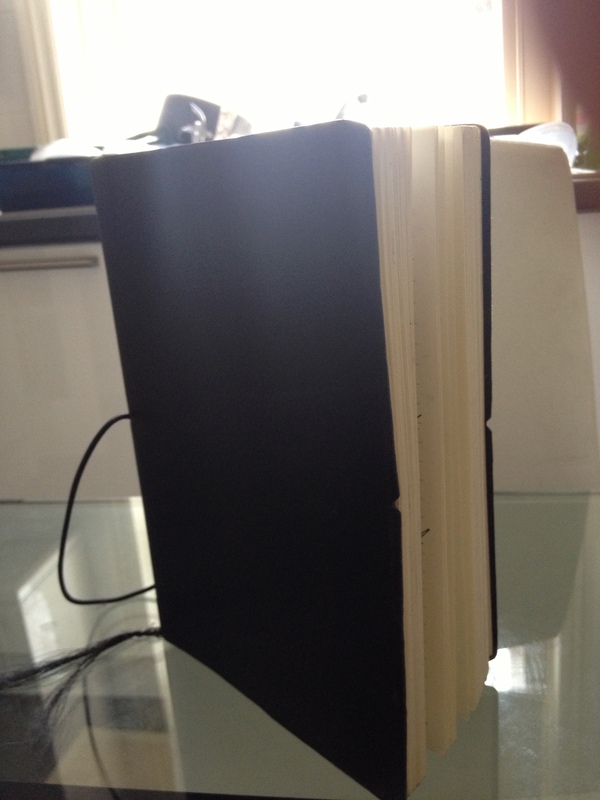 Notebook Of Terrible Ideas. The words that slide haphazardly out of my pen at odd hours of the night are usually notes for things to post on here, but I never get round to writing them up because I find them far too dull. Some of my scribbles concern non-writing projects, and invariably they go nowhere – so you’ll be surprised as I was to discover that the fruits of one such mind doodle is actually going to be implemented, and it will affect a few hundred people. Yes, really! The idea I had is a way of reducing the number of members in London Dynamo without being a total douche about it. Last year numbers peaked at a record of 563, and that figure could head further north as the Cult of Wiggo continues to attract more converts. Maintaining decent, safe standards of riding with so many members, particularly newbies, would be hard. Conversely, Dynamo has always experienced difficulty attracting enough volunteers to help out at races, which every club must do to avoid being blackballed by race organisers. When we are hosting a race or event, and we find ourselves short of volunteers, the committee will randomly pick names from the membership list and request help. Should the member be unable to assist, he/she will be at the top of the list for the next event where we require help. This would be repeated three times, and should the member be unable to proffer an acceptable excuse, they will be unable to renew their membership. By making this clear to all renewing members (in 2014) and to new joiners from now on, we hope to retain and attract the right calibre of people to London Dynamo. And frankly, deter those with less generous tendencies – which may of course have an effect on membership numbers. We will be carefully monitoring the effects through the year. And that, essentially, is the idea I scribbled down nine months ago and subsequently shaped into a proposal to show the committee. I wanted us to avoid actively excluding people, which would be a bit ‘golf club’ and against the inclusive spirit on which Dynamo was founded almost a decade ago, so I thought of introducing an element of obligation which might deter the sort of person who simply wants to ride in a Dynamo jersey without having any real involvement in the club. It also seems obvious that pricing hasn’t worked – the club used to offer a £10 reduction in membership fees if you marshalled, so most people simply bought themselves out of the deal by paying the extra tenner – and a recent short-lived scheme to offer small prizes for marshalling also had no effect. I think in both instances there was an incorrect assumption that the club was giving something of value, but it is fairer to say that what members actually value is membership in itself – the rides, the racing, the forum, the networks of friends and cyclists. Make this the reward, create this virtuous circle, and you should have a willing pool of helpers. That’s the theory, anyway. Regardless of what happens, though, I will at least have proved to myself that by having lots of terrible ideas, you eventually come up with a pretty decent and usable one. This entry was posted on	March 15, 2013 at 12:47 pm	and is filed under Uncategorized. Please do a follow-up post in a year or so to let us know how it turned out!